We all feel it — that compulsive inner imperative to respond to multiple streams of instant messages, 5+ email accounts, Twitter feeds, Facebook updates, LinkedIn prompts — social media demands form a part-time job that, for many of us, has become an essential part of living and working. And the world of ballet is no exception. 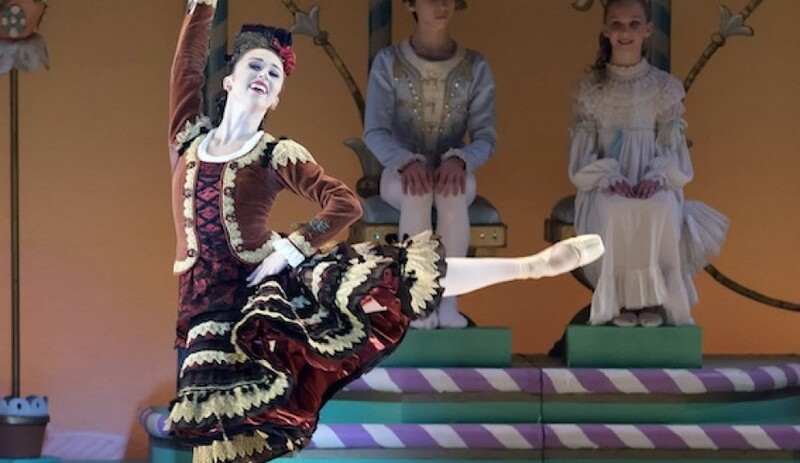 As recently as May 2015, Paloma Herrera, principal ballerina with American Ballet Theater, gave as her main reason for retirement the inability to keep up with the demands social media placed on her. Clearly the effects of social media have begun to show even in ballet. Wanting to understand more clearly what these were, we recently turned to Miami City Ballet’s Rebecca King for help. King hails from Northern California but graduated in 2006 from Philadelphia’s Rock School for Dance. King then trained at the Miami City Ballet School, spent a year there as an apprentice before being promoted to Corps De Ballet in 2008. However, King is also known as a social media entrepreneur. Her blog, tendusunderapalmtree.com, has been connecting with audiences on issues relating to the world of ballet since 2010. She also has a very active Twitter account with over 3,000 followers. For this reason she was just the person to talk to about the effects the new social media technologies may be having on the tight-knit world of ballet. Artburst: Was there was a specific moment or event that inspired the blog? RK: It was 2010 and I was on summer layoff. I started doing the online blog because I realized that at the time there was nothing really like it out there. I knew that for the audience the dancers on stage seem like mystical creatures, difficult to connect with. Also, remember, the interest in ballet is not what it used to be and so I saw a potential to build a bridge to audiences and to make things more interesting. You actually have two Websites — one is your blog, Tendus Under a Palm Tree, and the other is Rebecca King Social Media Management (rebeccaking.net). Do you see the social management firm to be an outgrowth of what you do in your blog? Miami City Ballet had me working as a liaison at one time between the dancers and the social media department. Just having the name of MCB is a big platform. Let’s face it, for companies like MCB, and even individuals like you and me, the way the world sees us is through our Website and our social media status. People throughout the world access our company this way even if they have never seen us dance live and never will. You said you began to develop your social networking skill set by first acting as a liaison for Miami City Ballet and social media? Yes, it was trial and error. I grew my personal blog from nothing to where it is now getting hundreds of hits daily. Over the last five years my Twitter account has grown to over 3,000 followers. I’ve even sold hundreds of units of merchandise and it has all been through social media. It was natural the point would come when others would see what I was doing and think it useful to their businesses as well. I started Rebecca King Social Media Management to respond to the requests I was getting from individual businesses. Also, since my ballet career won’t last forever, I see it as something to fall back on.